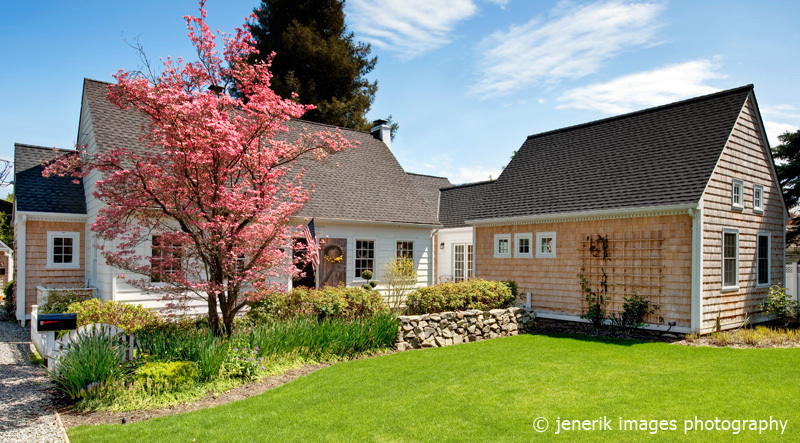 Have You Considered the “Life Cycle Cost” of Your Home? First of all what is Life Cycle Cost Analysis (LCCA) when it comes to your home? According to the National Institute of Building Sciences, LCCA is a method for assessing the total cost of home ownership. It takes into account all costs of acquiring, owning, and disposing of a building or building system such as a bathroom. What does this mean to you as a homeowner you might ask? The Life Cycle Cost holistically considers the impact your home has on the environment, the home’s overall energy use, and ultimately your pocket book by analyzing the costs over a building’s lifetime. Here are some points to consider: Durability, in our opinion, is the most important consideration when designing structures based on Life Cycle Costs. The initial investment may be higher at first, but over the lifetime of the building, the savings can be significant. The concept of the “service life of building components” is probably best remembered in the L-P siding and synthetic siding fiasco of the 1990’s. These products were cheap and many builders and homeowner chose them based on price. But ultimately thousands of homes had to have their siding replaced and repainted. This low cost material cost homeowners thousands of dollars in replacement costs and filled the landfills. Quality siding that is properly insulated can easily last 100 years. This material costs more up front, but in the big picture of Life Cycle Costing, it’s a real bargain. We recently saw an example of a bathtub not installed properly. The cost of replacing this tub will be quite expensive and wasteful. When you replace the tub, most often the tub surround has to be replaced as well. If there is floor damage, which we frequently have encountered, the floor has to be ripped out and replaced. So you can see from this example how expensive poor workmanship can be, not to mention all of the materials which could end up in the landfill. This is why we like to hire subcontractors who are skilled at their craft so that a project is done right the first time. No single contractor is an expert in every aspect of the remodeling project. Remodeling your home is green by definition. The whole shell of the building gets reused as opposed to building a new home. 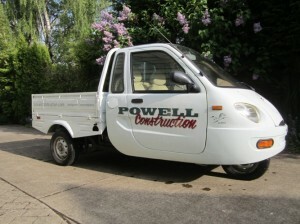 Powell Construction is conscientious about saving resources and recycling when working on projects. We donate used cabinets and appliances to organizations like Habitat for Humanity, whenever possible. We also like to reuse items, like doors for instance, to save on cost, resources, and to keep them out of the landfill. In addition, we recycle packaging and wood whenever possible. Energy Efficiency is another important consideration. Energy efficient windows, which are installed right the first time, can lower your energy use and this cuts down your monthly bill over a long period of time. Insulation, appliances, heating and cooling systems also have an impact on your energy use and investing in these items will save you money in the long run as well. Speaking of energy efficient, whenever we do not have to transport a lot of building materials, we like to use an electric car for errands to keep Corvallis’ air less polluted. « Which Deck Material Should I use?